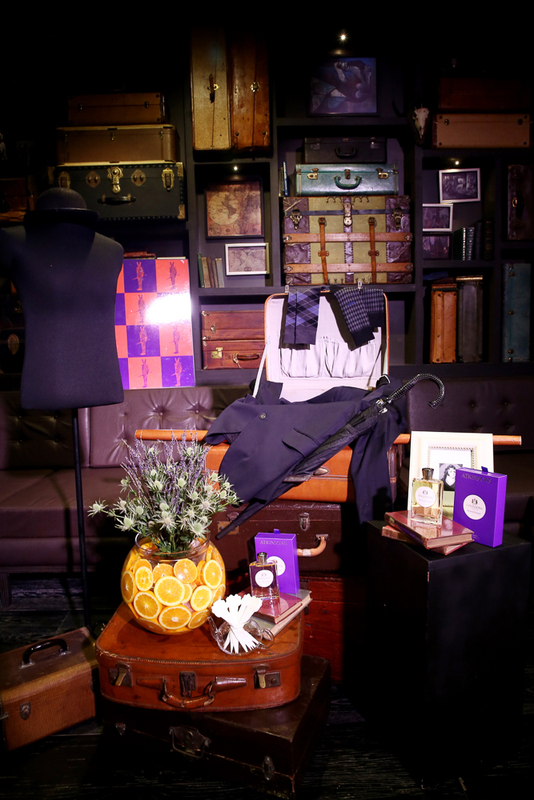 Another British invasion happened when Atkinsons was launched last Septemebr 29, 2015 here in the Philippines. 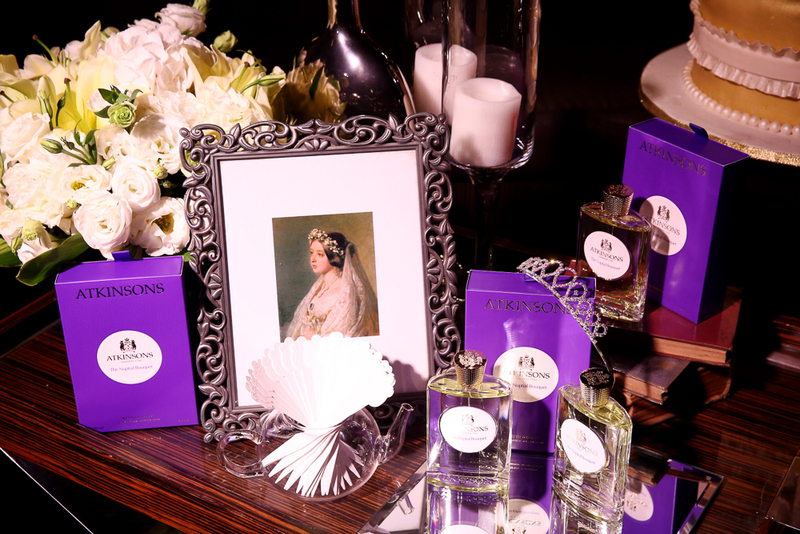 British perfume house Atkinsons brought with it a history as rich as the fragrances it carries. Established in 1799, it was the Chanel of its time, creating scents for royalty and fashion-obsessed aristocrats. Its clientele included Napoleon, the Duke of Wellington, the Tsar of Russia, the King of Italy, Sarah Berhandt, and Beau Brummerl, the father of modern menswear. Truly, the event was no short of regal with a feel of good ol’ England. 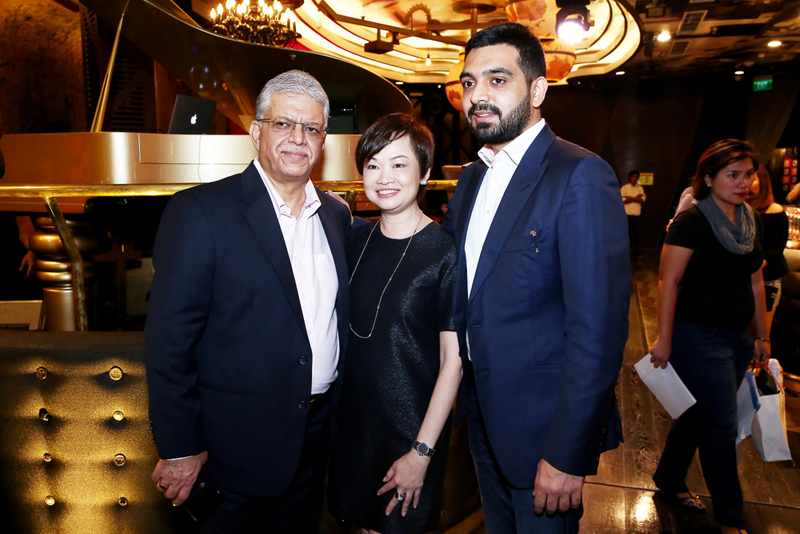 As the launch was held at one of Manila’s exclusive Ultra Lounge, Pangea City of Dreams. Atkinsons signature icon “ The Bear” together with Atkinsons officials (seated L-R): Francis Labora, Brand Manager, Atkinsons – Scent & Beaute, Inc.; Jan Leong,Regional Director of Perfume Holding Asia; Sam Yen, Brand Development Head, Scent & Beaute, Inc.; Mr. Charlie Jeswani, Chairman , Scent & Beaute Inc. with son Ken Jeswani, CEO/President, Scent & Beaute Inc.
Mr. Charlie Jeswani, Chairman, Scent & Beaute Inc.; Jan Leong, Regional Director of Perfume Holding Asia; and Ken Jeswani, CEO/President, Scent & Beaute Inc.
Atkinsons model Elizabeth Aitken shows off the Atkinsons Nuptial Bouquet scent. The grand return of Lawrence of Arabia to the fireside luxuries of London’s most storied gentleman’s club. Lawrence of Arabia ensconced in the splendour and leather Chesterfielded comfort of a St. James gentleman’s club, its weighty silence broken only by the occasional turning of a sheet of a newspaper, and the Oriental fragrance of Ottoman tobacco issuing from the depths of fearsomely upholstered winged armchairs. This rarified ambiance is conveyed with almondy heliotrope flowers and dark tobacco, heightened with ginger and fiery peppercorn and, finally, deepened with a rich ambery accord of benzoin and labdanum. A fragrance of immense leisure. A fragrance of royal romance, a retro contemporary interpretation of Queen Victoria’s bridal bouquet: the green and white loveliness of Lily of the Valley, violet leaves and exquisite myrtle flowers enhanced with delicate white musk and sandalwood. For women who wouldn’t dream of settling for less than a prince. A languorous scent redolent of a cargo of Asian silk brocades steamship-bound for London, carefully packed in patchouli leaves. A mesmerising re-creation of the fragrance that seduced the most dazzling fashionistas of the late 19th-century, among them, Sarah Bernhardt. Fashion Decree summons up a time when precious silk brocades, arriving from the Far East in trunks packed with patchouli leaves, were all the rage at the court of Queen Victoria. An opulent patchouli perfume of far-flung origins. A fragrance for exquisitely dressed women with a passion for luxury. An olfactory ode to dandyism, The British Bouquet is to be worn like the finest suit of bespoke tailoring, with Beau Brummel confidence and panache. For ladies and dandies, a veritable mist of the Isles inspired by Beau Brummel, intrepid pioneer of the 3-piece suit, and the model of the man who was born with a wise-crack on his lips and an eye for knock-out sartorial elegance. Woven from velvety lavender, myrtle and malt, and lined with gilded citrus top notes of bitter orange and caviar lemon, The British Bouquet is impeccably finished with a leather accord that recalls the champagne-polished Hessian boots of the Dandy himself. 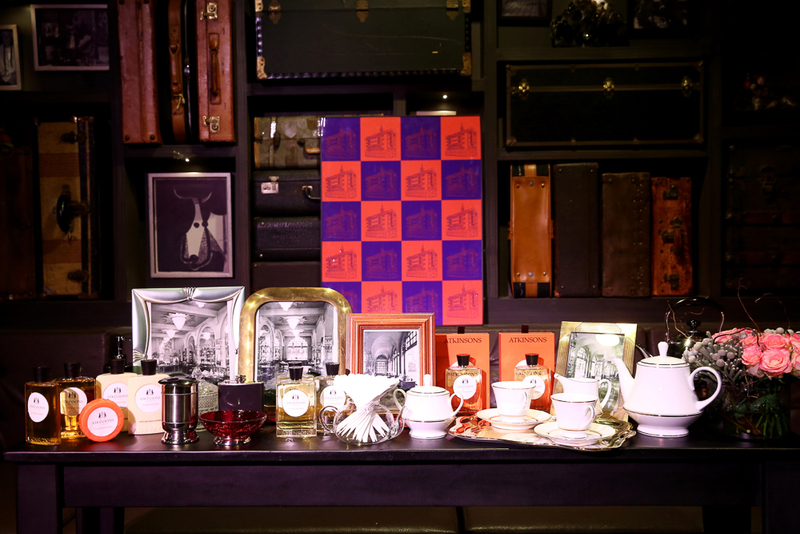 A cracking good fragrance that very much lives up to its fabled address, 24 Old Bond Street is more representative of the house’s inestimable peerage than any heraldic crest or coat of arms. A revelation of endlessly effortless chic and classic British flair, the cologne and bath collection tips its top hat to Atkinsons’ first fragrance creation, the exceedingly English Eau de Cologne of 1800. Like its predecessor, 24 Old Bond Street is no mere Continental cologne but a powerfully assertive and peculiarly wonderful English scent. With a glamorous twist of Brit eccentricity, it redefines the very notion of cologne, and will beguile boys and girls of the very highest discernment. Atkinsons’ definitive perfumery line requires no further elaborations. 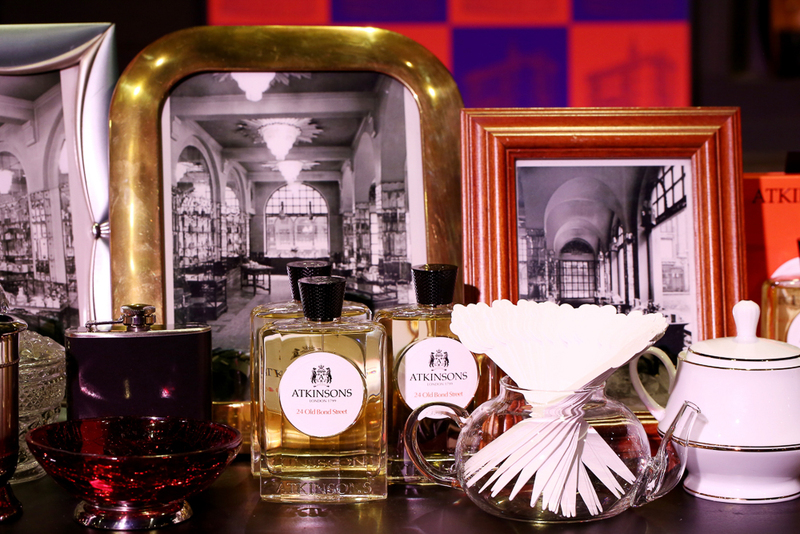 Drawing on two centuries of English eccentricity and impeccable style, Atkinsons’ new scents are set to captivate the sense with nostalgic originality. Atkinsons is available in luxury fragrance boutique Art of Scent, with flagship store at Shangri-La Plaza and shops at City of Dreams and Resorts World Manila.